This often overlooked Florida city is underway with a transformative, $375 million redevelopment of its marina district that will be an economic game-changer for the area and its residents. 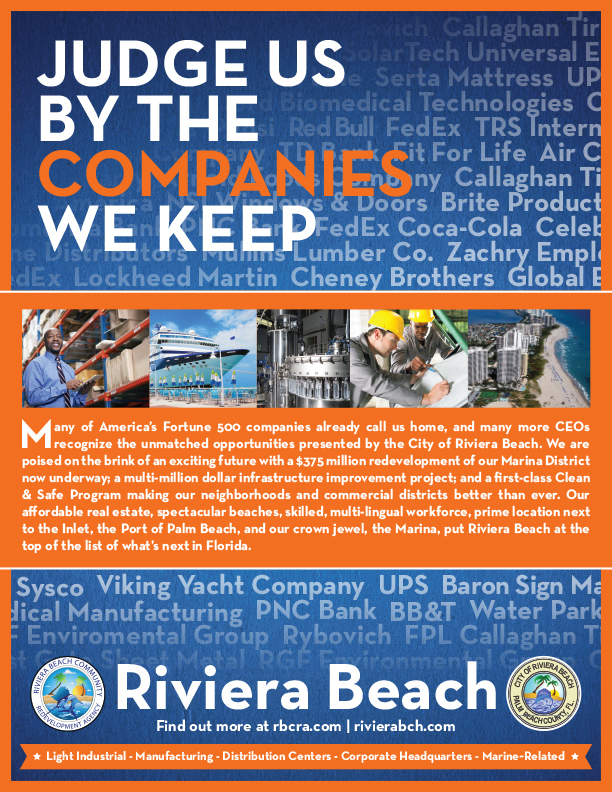 To help generate confidence and interest from potential investors, we developed a full-page ad that ran in a special section on the region in Florida Trend. We managed to secure a large part of the editorial around the changes happening in the city, and tour advertising was designed to showcase the city’s key business assets. 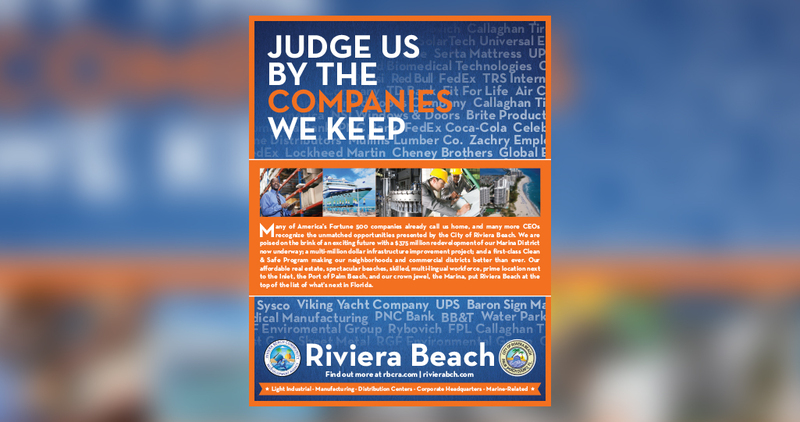 Few in the South Florida business community know about the major Fortune 500 companies located here, making this ad a natural.